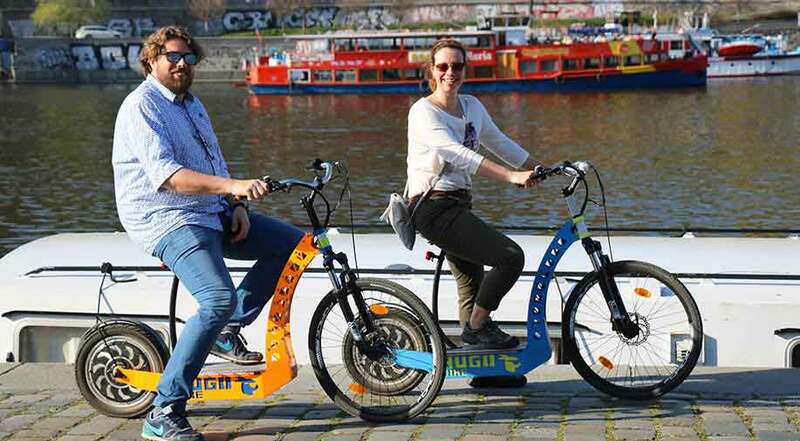 It’s easy to discover Prague on electric scooters! Zipping around the city lets you cover a lot more ground than you would by walking. 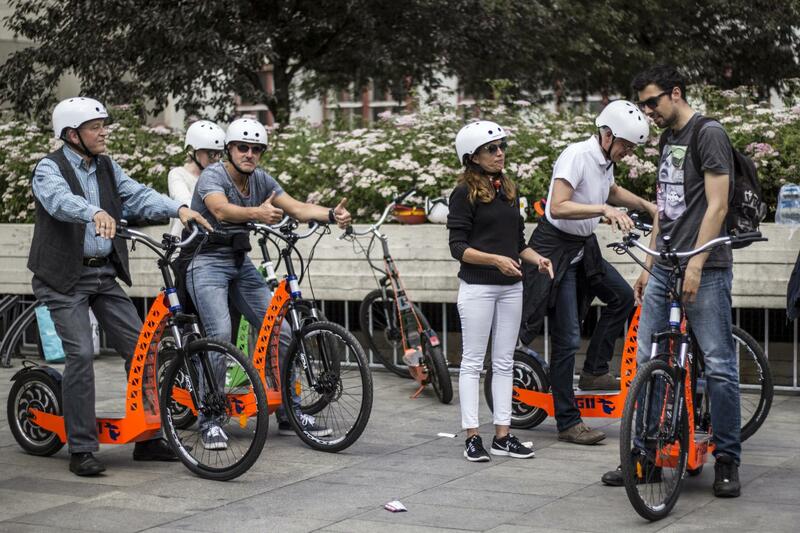 To maximise the fun, we combine electric scooters with our popular Prague Treasure Hunt, which creates one of our favourite team building activities. Prague’s electric scooters are easy to operate, and you don’t need to have a driver’s license to ride them. Scooters are powered by an electric battery that can last for up to six hours. The average speed of an electric scooter is around 20 km per hour, but the maximum speed is a bit higher. You can go as fast as you want… but don’t forget that you are not alone on the road (safety first)! We suggest to create teams with a maximum of seven guests each. We will begin with a short introduction to the Prague Treasure Hunt and an electric scooter demonstration. Each guest will get a safety helmet and a professional team leader (who is not there to help teams with their Treasure Hunt, but rather to assist with any technical issues in the odd chance that they may appear). The introduction usually lasts approximately 15 minutes, and then teams are on the move through the centre of Prague for 2-2.5 hours. During this great team building activity, guests will discover the most interesting and beautiful sights of the city, such as Old Town Square, Charles Bridge, Municipal House, National Theatre, Prague Castle, Petrin Hill and many more. 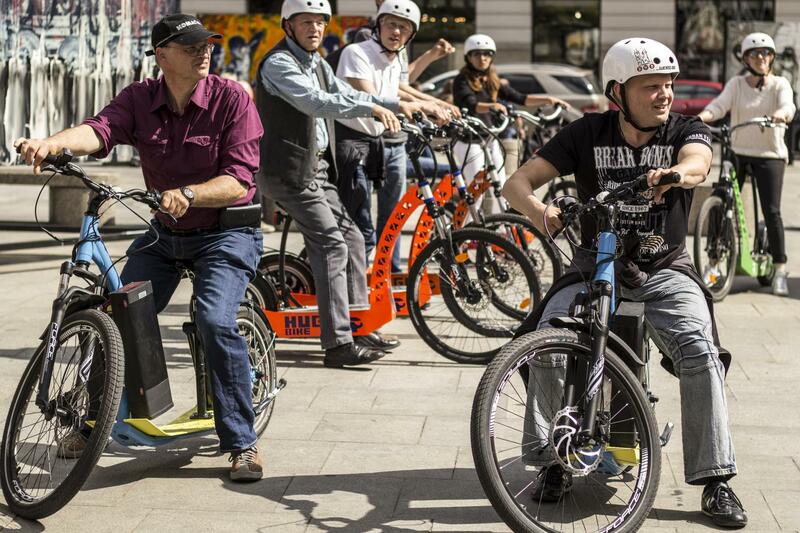 Each Prague Treasure Hunt on electric scooters is bespoke for each group, and the journey is always unique. We usually start from your hotel, and end at a restaurant of your choice where lunch or dinner will follow and winners are announced. This team building can be organised all year round for groups ranging from eight to 100 guests. Riding on a scooter and enjoying the Prague Treasure Hunt is considered “light” activity - highly recommended as a break during a conference or meeting in Prague.